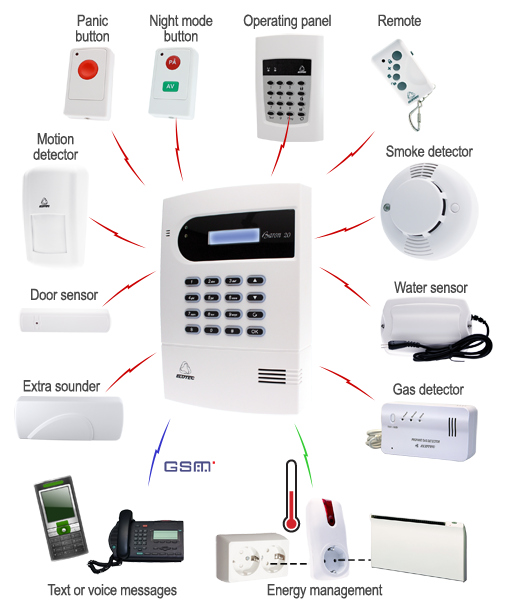 The BARON 20 is a wireless combined alarm system that warns of fire, intrusion and water- or gas leaks to your phone (text or voice) over the GSM mobile network. Up to 30 wireless detectors may be connected to the system, and there's also the option of power management through separate modules that can be controlled through text messages. Wireless keyboards with support for code-free activation through smart tags provides flexible operation. The BARON 20 is also available with Contact-ID support for transmission to alarm stations.